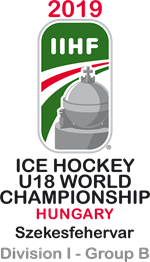 Great Britain U20s kept themselves in the hunt for a medal at the Under-20 World Championship Division II Group A in Tallinn with a 4-2 victory over Romania U20s. GB have now won twice this week at the Tondiraba Ice Hall and have six points from four matches, with one game remaining in the tournament. Liam Kirk scored twice and added two assists for a four-point game, while Kieran Brown and Tyler Cooper both had a goal and an assist. Kirk scored his fourth goal of the tournament to give GB the lead with the man advantage at 9:08. GB, who have the best-ranked powerplay in the tournament, worked the puck well and Romanian netminder Ors Adorjan was unable to hold Kirk’s shot through traffic from the point. Britain outshot Romania 14-9 in the first period but Jordan McLaughlin had to be at this best to deny Andrei Vasile. Two goals in the opening 43 seconds of the second period put GB in the box seat. Cooper’s neat wrist shot on the powerplay after great work on the boards by Jordan Kelsall (20:12) was followed 31 seconds later by Brown scoring into an unguarded net from close range (20:43). Kirk scored his second of the game at 25:21 after strong work behind the net from Mac Howlett as GB opened up a four-goal lead. But Adam Vizi netted at the backdoor on the powerplay to get Romania on the board (27:36) and Eduard Casaneanu’s shot across McLaughlin reduced the arrears to two (32:02). Adorjan produced a top-class save from Josh Waller’s shot as GB looked to put the game to bed. Meanwhile, on a late powerplay Kirk, Cooper and Waller were also denied by Adorjan who faced 40 shots throughout the 60 minutes. Head coach, Slava Koulikov, said: “This was a hard-fought win against a side previously unbeaten in the tournament. “We looked good going forward once again but I think we tightened up at the back compared to the defeat by Estonia. 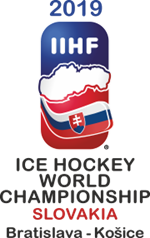 There are no games in the tournament tomorrow but GB’s final match is on Saturday when they face Spain at 1pm (11am UK time).